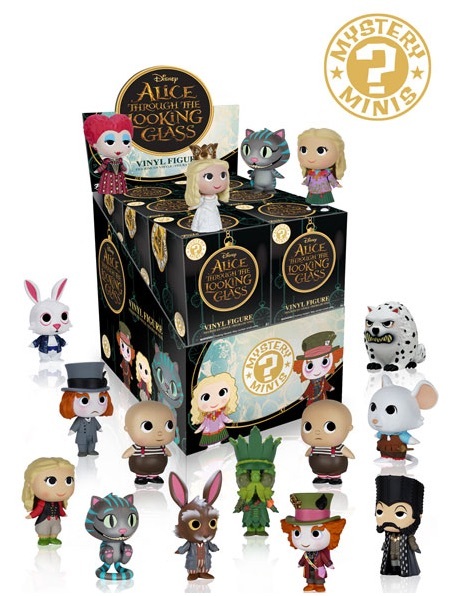 Covering the live-action sequel to Alice in Wonderland, 2016 Funko Alice Through the Looking Glass Mystery Minis include many of the main characters from the 2016 film. Issued in a blind-box format, there are a total of 16 figures to track down. Starring Johnny Depp as the Mad Hatter, Anne Hathaway as the White Queen and Helena Bonham Carter as the Red Queen, the Alice Through the Looking Glass lineup offers a deep look at the film and a few characters have multiple figures. While a complete checklist and individual figure rarity was not provided, as there are 16 figures, several will likely be much more limited. Sold in 12-box cases, each figure is a surprise until the packaging is opened. The Funko Mystery Minis stand approximately 2 1/2" tall. This release comes in addition to the larger Pop! Alice in Wonderland figures for the 2010 film that include a handful of the same characters with different poses. Alice Cooper - Alice Cooper Pop! Vinyl - FunKo Free Shipping!